Get-together with girls in Brignano, Bergamo (Italy) on November 5, 2016. 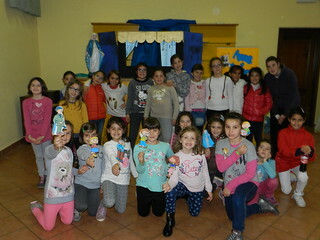 On Saturday, November 5, the Servant Sisters in Brignano had a get-together for girls from First to Fifth Grade. Although it was a rainy gray day, the get-together had a very happy and participative atmosphere. When the girls arrived we got warmed up with a few games. We later represented the story of Anne de Guigne with puppets. It is a work that tells the story of this young girl, who had a radical conversion and later died at the early age of 11 with fame of holiness. The girls were very attentive during the story and participated in the meeting afterward. 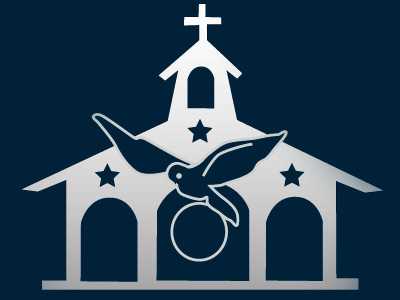 We hope that more “Annes” come out from this town for the glory of God! After lunch we had time to make a dessert with chocolate and what Italians call “grissini” (breadsticks). 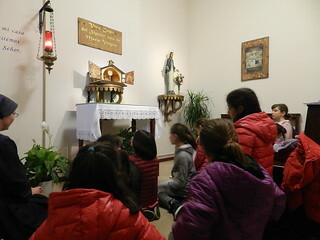 Later, we went to do the most important thing of the whole day: a moment of prayer in front of the Blessed Sacrament. The girls were really desirous to see the Tabernacle open to be able to adore God in a special way! They had been asking us to do so for weeks. After prayer, we competed in super challenge game to try to “gain” the virtues that stood out in Anne de Guigne. We were hungry after this spiritual and physical battle against evil, so we had a snack. We then did a craft called “My friends the saints.” It consisted in a board with cards that had different saints’ phrases. There was one for every day in November, but they can continue to use it during the whole year! Thanks to Anne and all the saints for having accompanied us in a special way that day.